Here is a great article by Joseph Mercola, D.O. talking about some key thoughts and information about the Organic Food Industry! 1. 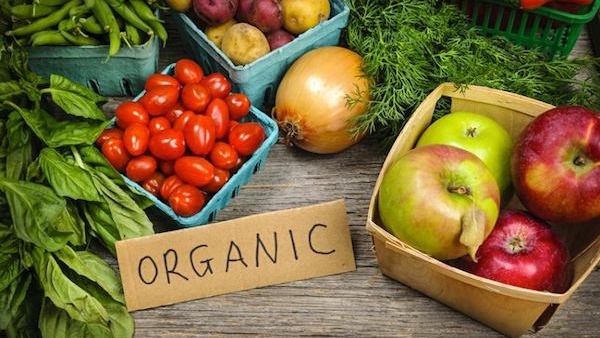 Organic food is far more nutritious than ordinary produce, and can help improve your health and longevity. minerals like iron and zinc. 2. Consumers need to adopt a “Buyer Beware” approach to shopping, as not all labels are truthful or even pertinent. standards of any of the currently available organic labels. 3. Buying this way can be expensive…. One such way to eat well and economically would be to focus on purchasing certain organic items (foods with high pesticide use), while settling for others that are conventionally grown (low pesticide use). 4. Although Canada and the U.S. does not require GM foods to be labeled, you can still find out whether or not your produce has been genetically engineered by visiting the Institute for Responsible Technology’s site at NonGMOShoppingGuide.com and perusing the long lists of non-GM and GM brands by category. Hope these key tips help on the journey to healthy eating.